AUBURN, Ala. (WRBL) - Auburn City Schools officials are investigating an "inappropriate" social media post officials believe was made by a high school student. School officials are saying the post does not reflect the system's beliefs. 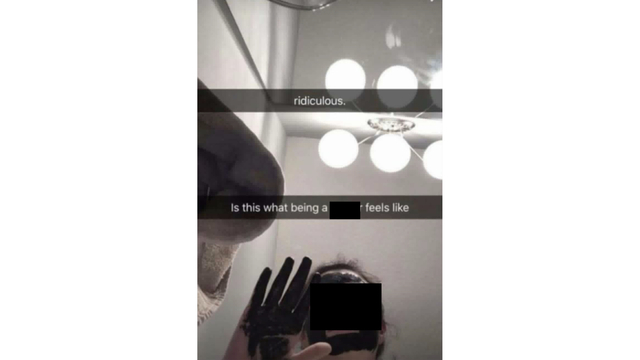 The social media picture shows a person wearing a black face mask. News 3 has chosen to block out the face as well as the racist term used in the text. The post reads, "ridiculous. Is this what being a (racist term) feels like"
The post has received backlash from many on social media and prompted Auburn City Schools to release a statement to News 3. "Auburn City Schools Officials have been made aware of an inappropriate post on social media by a student at Auburn High School. What has been presented to the administration at AHS and the leadership of ACS, in this case, does not reflect the school system's statements of belief. Upon the completion of a thorough investigation, the appropriate measures will be taken," said spokesperson Daniel Chesser. Chesser confirms it appears the student posted an apology a short time after the photo was shared. 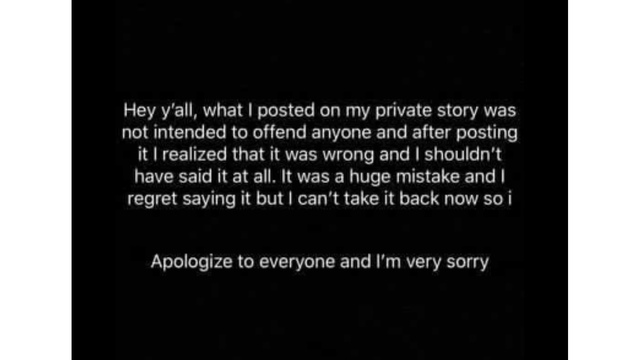 "Hey y'all, what I posted on my private story was not intended to offend anyone and after posting it I realized that it was wrong and I shouldn’t have said it at all. It was a huge mistake and I regret saying it but I can't take it back now so i Apologize to everyone and I'm very sorry." Wednesday, April 17, the United States Secret Service served four search warrants in coordination with the Muscogee County Sheriff's Office and Walmart Global Investigations in the Columbus, Muscogee, and Harris County areas. According to Meriwether County EMA officials, several roads are closed due to flooding from Friday morning storms across the county. Columbus Police confirm they have arrested the fifth suspect in the murder of 32-year-old Branden Denson. This just more than one year since Denson was found shot three times in the back in the Pizza Hut parking lot on Buena Vista Road back on April 6, 2018. The Alabama Senate Tourism and Marketing committee will take up a lottery proposal Tuesday. The bill was introduced by Republican state senator Greg Albritton, his bill would establish a paper-ticket lottery only. A woman was found trapped in her vehicle Monday morning after being reported as missing for three days. Alabama already has exceeded its yearly average for tornadoes with more than 50 twisters verified in the state so far in 2019. How will the Trump trade deal affect U.S. farmers? © 1998 - 2019 WRBL.com | Nexstar Broadcasting, Inc. | All Rights Reserved.